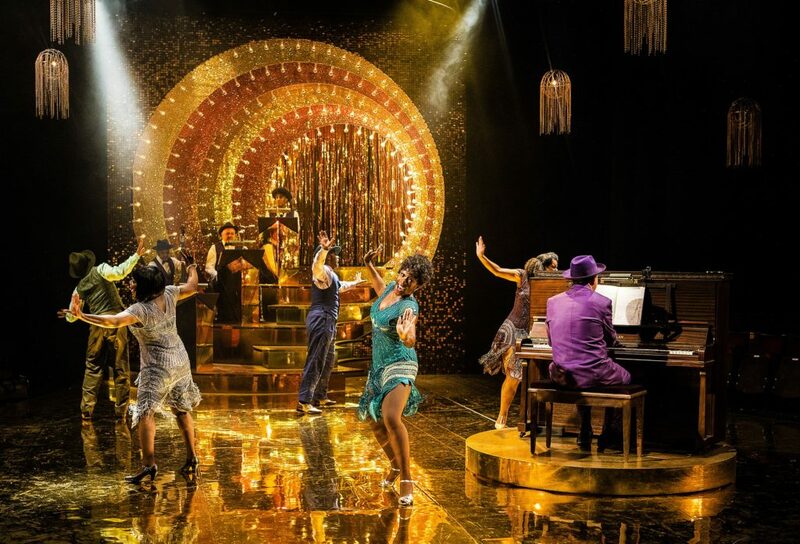 Stepping into the Mercury Theatre to see Ain’t Misbehavin’ was like stepping into the Jazz clubs of Harlem in the 1920s. The smooth tones of the music transported us deep into the life of Fats Waller, the iconic African-American jazz pianist, organist, composer and comedic entertainer. The show, not prescribing to any linear structure or story, explored the musical talents of Waller by embracing a selection of his work including ‘Your Feet’s Too Big’ and ‘The Viper’s Drag.’ The songs were performed by Adrian Hansel, Carly Mercedes-Dyer, Landi Oshinowo, Renée Lamb and Wayne Robinson, who each, with their own impressive array of talents, added a unique flair to every tune. The quality was outstanding, as each performer amazed with their booming voices and effortless dance moves choreographed to perfection by the brilliant Oti Mabuse. Making his directing debut, Tyrone Huntley proved his creative talents extend to offstage as well as on. He has ensured that every element of the show conveys the period and the true essence and freedom of Jazz. At first, the absence of a storyline was noticeable and I caught myself thinking that the presence of scripted dialogue could have tied the songs together more efficiently. However, by the second act this thought was disregarded as we journeyed into more slow and sombre numbers. ‘The Viper’s Drag’ was a particularly impressive number, hypnotic as it stirred a silent excitement in the audience. Waller’s words filled the theatre, as Wayne Robinson smoked away, singing about getting high and dancing slickly across the floor. The audience watched as his feet slid across the stage, his body resembling ‘The Viper.’ The song ‘Black and Blue’ delved into the topic of race and importantly touched upon typical white American views towards black identities at the time. The power of the lyrics, “I’m white inside, but that don’t help my case, Cause I can’t hide what is on my face,” created a story and perhaps indicated Huntley’s vision of allowing the music to speak for itself. It would be criminal not to acknowledge the excellent live band that performed alongside the outstanding cast. The energy that flowed from the musicians was infectious as they recreated the nightlife of the era enhanced by the stunning period set and costume design (takis). Ain’t Misbehavin’ was hugely entertaining. A beautifully crafted piece of theatre from the Made In Colchester stable reflecting the talents of a bygone era.